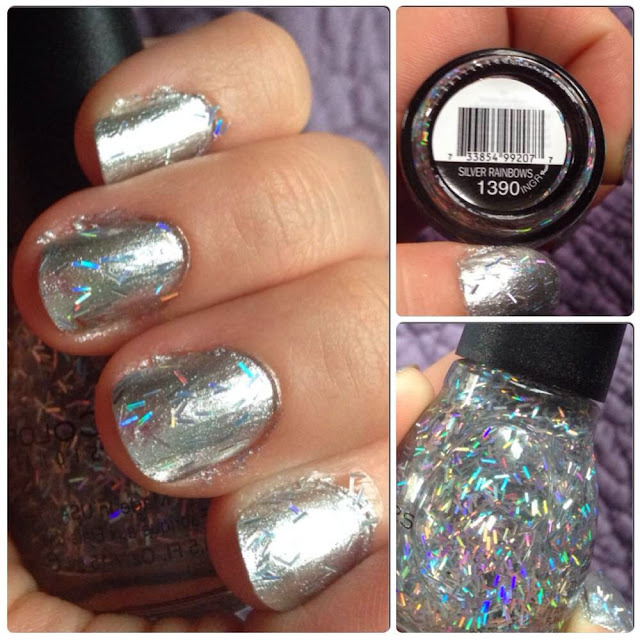 SinfulColors has done it again with their tinsel and glitter collection. 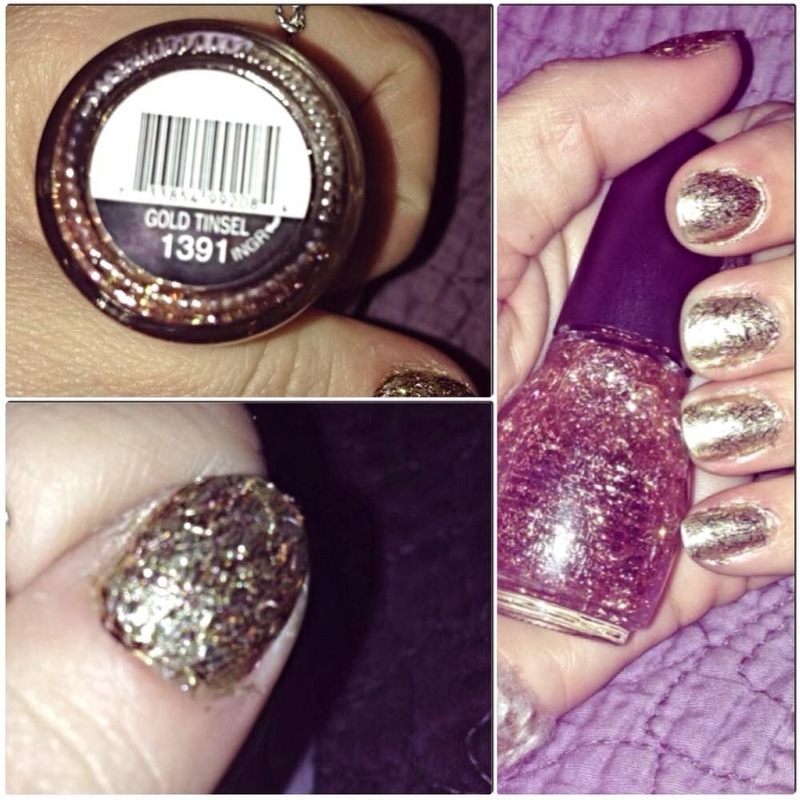 Infused with sparkles, tinsel, and glitter these are available at Walgreens for $1.99. Their tinsel nail polish is stunning and perfect for this time of year, while their Sheer Lustre Glitter Topcoat collection is ideal for finishing off any plain manicure! 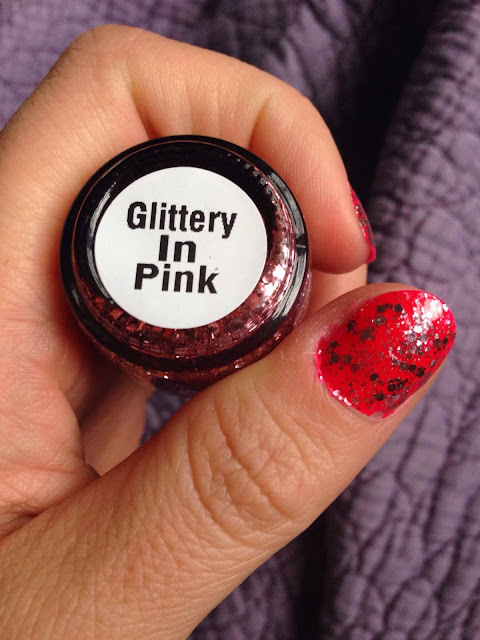 I used the Glittery in Pink and Girls Best Friend on my fingers and toes from the Topcoat collection. I was amazed at how quickly it dried and how gorgeous the glitter was! The Silver Rainbows and Gold Tinsel was so cool!! This is what I wore for the holidays and I was in love with the tinsel. There are literally tiny pieces of tinsel inside. They still stick perfectly and don't flake off your nails, so I definitely am impressed at the high quality of this polish! Once again, I am pleased to add SinfulColors to my nail polish collection!